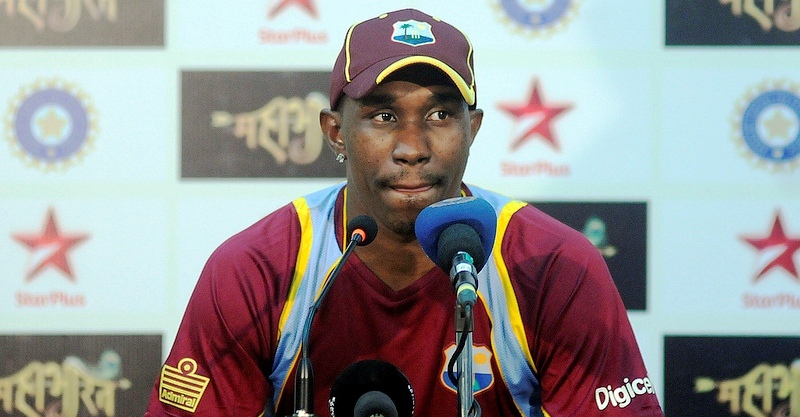 [www.inewsguyana.com] – West Indies One Day International captain Dwayne Bravo says competition in the squad augurs well for better performances following their 203 run win over New Zealand in the fifth and final ODI on Wednesday. Kieran Powell, who opened in place of the injured Chris Gayle, slammed 73 off 44 balls while Kirk Edwards, who also came into the XI after a spate of injuries, hit his maiden ODI ton. Bravo, who also scored his second ODI century, attributed total team effort to West Indies handing New Zealand their second-biggest ODI defeat. The West Indies win, which drew the series two games each, follows poor performances in back to back losses against New Zealand and after Coach Ottis Gibson had expressed disappointment in the replacement players. “[The openers Johnson] Charles and Powell were going through a tough time, but it was important me and the coach backed them,” Bravo said. “They have done great things for us in the past, and the way Powell started put pressure on New Zealand straightaway. Then Edwards came in at No. 3, under pressure, and took the opportunity by getting a maiden century”. The two teams will now face-off in a two-match Twenty20 series, beginning on Saturday in Auckland.